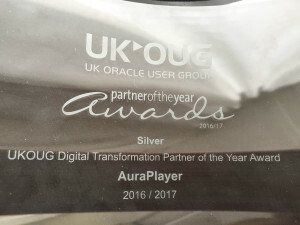 And the Winner of Digital Partner of the Year for UKOUG is …. 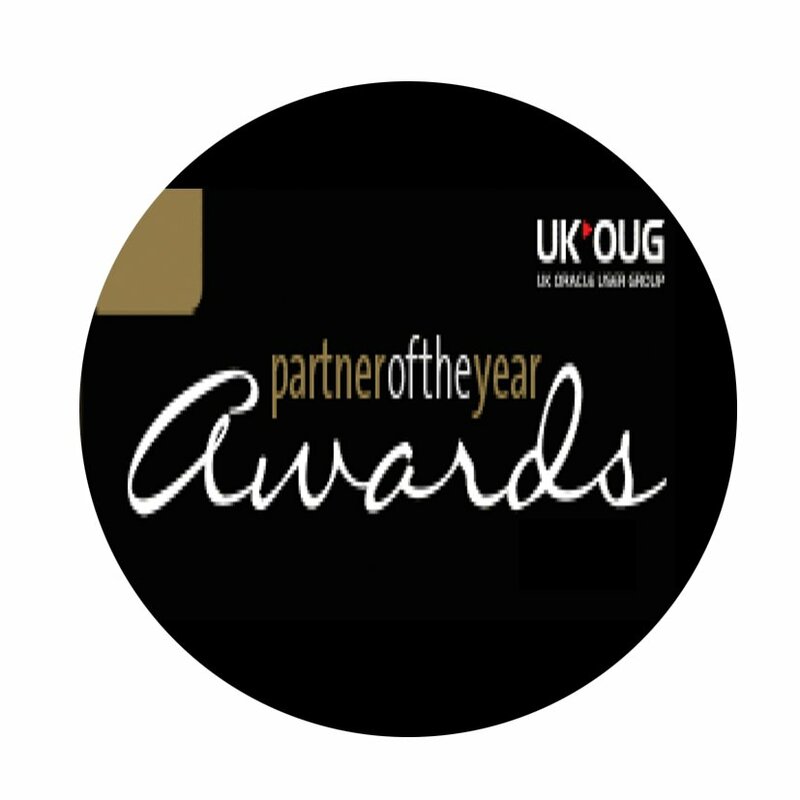 Last night, we had the pleasure of attending the ninth annual UKOUG Partner of the Year awards ceremony at the Café de Paris in London where we were honored with the Award for Digital Transformation Partner of the Year- Silver! 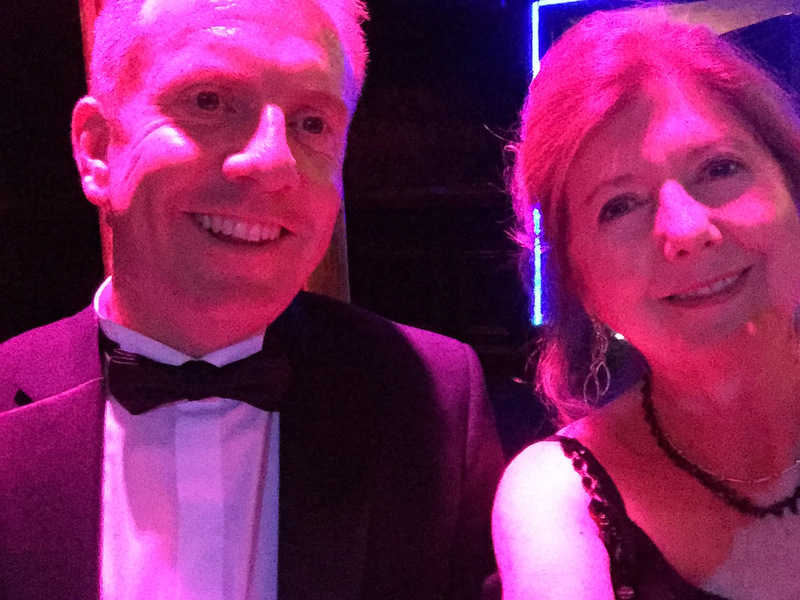 Amid the fun at the ceremony, Gwen Edwards (AuraPlayer’s VP of Business Development) had the chance to meet and snap a selfie with incoming Executive Director of UKOUG, James Jeynes! We were so incredibly impressed by him and can’t wait to see what he has in store for this fantastic organization! Sincere thanks to everyone who voted and helped us achieve this amazing milestone. This award is a tremendous honor – especially knowing almost 5000 votes were cast! For any of you who are wondering what is the source of these incredible digital transformations we are being recognized for, come see for yourself! We are taking this show on the road at UKOUG Tech16. You can join Mia Urman and Grant Ronald to see live demos of incredible stories of customers who have done incredible legacy to modern transformations of their back-office to mobile in record time without breaking the bank or redeveloping their existing systems. By using the oldest and most stable of Oracle’s technologies with the newest most cutting edge – Oracle’s Mobile Cloud technology. We hope to see you there at the largest gathering of Oracle Technology professionals in the UK, from December 5th-7th. We’re getting excited to explore the latest in the Oracle world at the conference and hope to see you all there! For more information on our sessions check them out here.